Your Complete Lake Info Guide for Genesee, Livingston, Shiawassee, and Oakland Counties! LOBDELL LAKE in Argentine Township: The lake is located south of Silver Lake Road and the public access site is on the west side of the lake. Lobdell Lake covers 545 acres. Lobdell connects to Bennet Lake and Hoisington. See Bennet and Hoisington below for more lake info. LAKE FENTON in Fenton Township: The lake is situated east of Torrey Road, west of Fenton Road and south of Thompson Road. Boaters may launch their watercraft at the DNR site off Grove Park Road. Lake Fenton spans 845 acres and makes it the largest lake in Genesee County. LAKE PONEMAH in Fenton Township: The lake is situated north of Silver Lake Road and west of North Road. The public access site is located along the southeastern side of the lake. Lake Ponemah spans 368 acres. Lake Ponemah connects to Squaw and Tupper. TIPSICO LAKE in Rose Township: The lake is located south of Rose Center Road, east of Tipsico Lake Road and west of Hickory Ridge. A boat ramp is available on the west side of the lake near Rosmar (off Tipsico Lake Road). CROTCHED LAKE in Holly Township: The lake is located north of Grange Hall Road and east of Fagan Road. A boat ramp is at the northern tip of the lake. Crotched Lake covers 29 acres. BIG SEVEN LAKE in Holly Township: The lake is situated in the Seven Lakes State Park, north of Grange Hall Road. Public access is available on the west side of the lake. Big Seven Lake encompasses 170 acres. DICKINSON LAKE in Holly Township: The lake is inside the Seven Lakes State Park, north of Grange Hall Road. A boat launch site is at the north end of the lake. Dickinson Lake covers 38 acres. LOBDELL LAKE— This lake covers 545 acres and has a maximum depth of 78 feet. It’s an all-sports lake. Public access is on Seymour Road between Silver Lake Road and Glenn Hatt Street. Anglers can expect to catch a variety of fish including Black Crappie, Bluegill, Grass Pickerel, Largemouth Bass, Northern Pike, Sunfish, and Yellow Perch. Part of Lobdell Lake is in Genesee County and the other part is in Livingston County. MYERS LAKE — A 33-acre lake with a maximum depth of 40 feet, it is fed by 52 separate springs, according to the DNR. Although it is a private lake, the public may access it by camping overnight at the campground affiliated with the Methodist Church. SOFTWATER LAKE — Spanning 11 acres at the high water mark, this natural spring-fed lake has a depth of 35-plus feet. There is no public access. BENNETT LAKE — A 150 acre all-sports lake, with a maximum depth of 125 feet. No public access, but boating access is available through Lobdell Lake to the north. HOISINGTON LAKE — Encompasses 125 acres, with a maximum depth of 62 feet. The area is largely undeveloped, mostly wetlands. This lake attaches to Bennett Lake which connects to Lobdell Lake. SHINANGUAG LAKE is a 238-acre all-sports lake just outside the Village of Goodrich. It’s proximity to Grand Blanc and I-75 makes it a popular lake for people who commute from the Oakland County area. BARNUM LAKE — A39-acre, 51- foot natural kettle lake. It has a mean depth of 17.9 feet. BUCKBEE LAKE — A 19- acre, natural, spring-fed seepage lake. It has a maximum depth of about 12 feet and an average depth of 5.9 feet. BYRAM LAKE — A 139-acre, a spring-fed kettle lake. The lake has a maximum depth of 50 feet and an average depth of 15.9 feet. CRANE LAKE — Also known as Little Mud Lake, it is a 33acre, natural kettle lake. It has a maximum depth of 35 feet and a mean depth of 12.7 feet. There is a single outlet under Jennings Road. No public access. CROOKED LAKE — A very irregular-shaped natural spring fed, 30-acre lake. Maximum depth is 42 feet, with the average depth being 14.7 feet. It is a hard water lake due to all the springs that lead into it. DOLLAR LAKE — A 46 acre, 27-foot deep natural kettle lake that has an average depth of 12 feet. The lake has a single inlet at the southwest corner and an outlet on the east side. LAKE COPNECONIC — covers 110 acres and the maximum depth is 50 feet. There are only a few homes on the largely underdeveloped all sports lake which has no public access. Camp Copneconic, operated by the YMCA, is built on the lake shore. LAKE FENTON — Known as Long Lake in the past, it is an 845-acre, 95-foot deep natural spring-fed kettle lake. It has 18 acres of islands. The lake’s mean depth is 21 feet. Anglers can expect to catch a variety of fish including Black Crappie, Bluegill, Largemouth Bass, Northern Pike, Rock Bass, Smallmouth Bass, Sunfish, Walleye and Yellow Perch. If you would like more info about fishing on Lake Fenton CLICK HERE. You can also keep up to date with what’s going on Lake Fenton Facebook. Another cool thing that makes Lake Fenton unique is the Lake Fenton Sailing Club. The Lake Fenton Sailing club homes race on Sundays on the North end of the lake. LAKE PONEMAH— A 368acre natural kettle lake. It has a maximum depth of 77 feet and a mean depth of 23 feet. It connects to Squaw Lake and Tupper Lake. The Shiawassee river inlets into Lake Ponemah and outlets through Tupper Lake. Anglers can expect to catch a variety of fish including Black Crappie, Bluegill, Largemouth Bass, Northern Pike, Sunfish, Walleye and Yellow Perch. You can also see what’s going on PST (Ponemah-Squaw-Tupper) Facebook. LITTLE LONG LAKE — A 26- acre, 39-foot deep natural seepage kettle lake. It has a mean depth of 11.6 feet. An outlet, located on the south end of the lake, flows through a canal system into Dollar Lake. LOON LAKE — This lake spans 159 acres with a maximum depth of 11 feet. It is an all-sports lake. MARL LAKE — A 75-acre, a spring-fed natural kettle lake. It has a maximum depth of 36 feet and a mean depth of 10.8 feet. There is a one-acre island at the north end. McCULLY LAKE — An 11 acre, 52-foot deep spring-fed kettle lake. It has a mean depth of 27.4 feet. PARKER LAKE — Also called Petts Lake, it is a 14acre, 32-foot deep spring-fed kettle lake. It has a mean depth of 15 feet. PINE LAKE — A 136-acre, spring-fed kettle lake which consists of two basins: a 29-foot deep southeast basin and a 19-foot deep northwest basin. The two basins are separated by an underwater ridge less than five feet from the surface. It has an average depth of 8 feet. SILVER LAKE— A 310-acre, spring-fed kettle lake, with 14 acres of islands. It has a maximum depth of 64 feet and a mean depth of 19 feet. There is a single inlet from Marl Lake on the south end and an outlet that discharges into Lake Ponemah on the north end.Thereisa62-foot deep basin at the south end of the lake. SKULL LAKE — A 14-acre, spring-fed lake with a maximum depth of 11 feet and a mean depth of 5.6 feet. SQUAW LAKE— An 80-acre, natural kettle lake with one 2.5 acre island and two deep basins. The basin east of the island is 37 feet deep, and the basin west of the island is 52 feet deep. There is a single inlet from Loon and Crane lakes and an outlet that flows into Lake Ponemah. It has a mean depth of 14 feet. TUPPER LAKE — A 26-acre, a river-fed kettle lake. It has a 56- foot maximum depth and a mean depth of 22 feet. The lake is connected to Lake Ponemah and the Shiawassee River. BLAINE LAKE — is a 30-acre lake on Hartland Township’s southern border with Brighton. There is no public access. BULLARD LAKE — encompasses 43 acres and is a private lake with no public access. HANDY LAKE — covers 57 acres and is one of a four-lake cluster south of M-59 in Hartland. There is no public access. LONG LAKE — is a 146-acre lake near Handy Lake with a depth of 125 feet. It has no public access. MAXFIELD LAKE — west of Long Lake, encompasses 90 acres. There is no public access. PARSHIVILLE POND — is a 51-acre lake created by the dam at the old Parshallville mill on Ore Creek, which is part of the Shiawassee River watershed. ROUND LAKE — is part of the Shiawassee River watershed and encompasses 60 acres. There is no public access. TYRONE LAKE — is a 102-acre lake on Hartland’s northern border with Tyrone Township. It has a maximum depth of 25 feet. There is no public access. BIG SEVEN LAKE — has an access on the west side of the park and DICKINSON LAKE is the access on the north end. Other lakes in the area are: Bush, Crotched, Jewel, McCaslin, Myers, Sand, Seymour (67 acres), Spring, Tyrone, and Urbin. CROTCHEDLAKE — is located north of Grange Hall Road and east of Fagan Road. A boat ramp is at the northern tip of the lake. The lake covers 29 acres. DICKINSON LAKE — covers 38 acres. It is located inside Seven Lakes State Park, north of Grange Hall Road. A boat launch site is at the north end of the lake. SEVEN LAKES — located between Fenton and Holly, encompasses the site of Seven Lakes State Park. LAKE BRAEMAR — A small, narrow and shallow lake with a maximum depth of seven feet. It has a total of 80 acres, 20 of which are wetland habitat. There is no public access. TIPSICO LAKE — Encompasses 300 acres and has a maximum depth of 27 feet. It’s an all-sports lake with public access off Tipsico Lake Road, near Webberdale. LAKE SHANNON — Encompasses 262 acres and has a maximum depth of 25 feet. It is Livingston County’s largest private all-sports lake. It has no public access. RUNYAN LAKE— A160-acre lake with a maximum depth of 70 feet. No public access. The all-sports lake is almost fully developed with year-round homes. There are more than 1,200 public launching sites for boaters. Most of the sites are administered and operated by the Parks and Recreation Division of the Department of Natural Resources. A good number of those DNR boat launch sites are situated in the tri-county area. Boat launches allow many area residents, who don’t live on area lakes, to enjoy the beautiful local waterways. Whether it’s fishing, skiing, sailing, swimming or just taking in the beautiful scenes, Michigan’s “golden triangle” has it all. 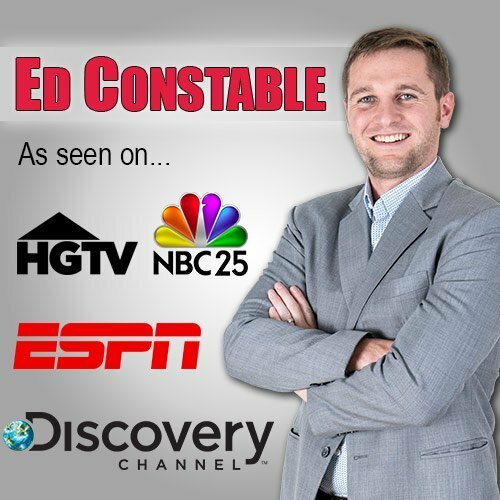 At Ed Constable Team, we are Waterfront Specialists. Many of the realtors in our office live on the Fenton Area Lakes. If you would like a tour of a lake call anytime and I will arrange to take you on a lake tour. 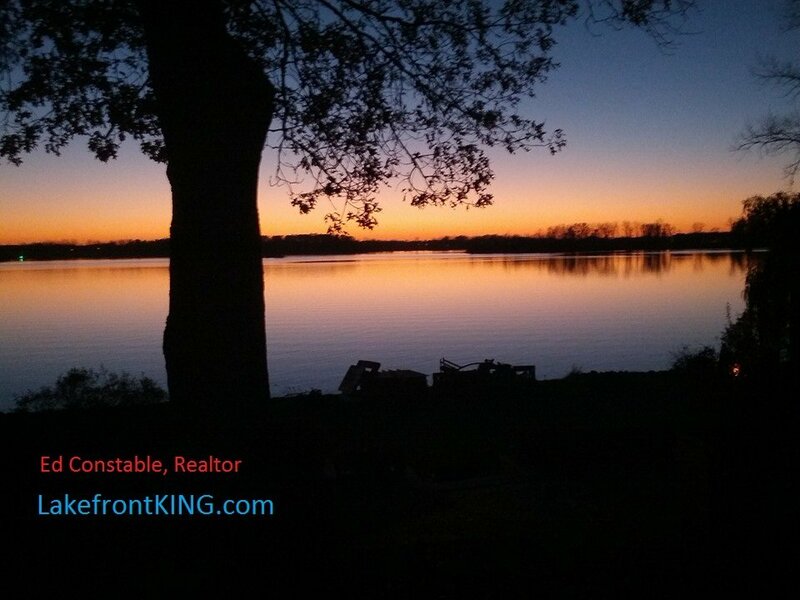 Call anytime to discuss what each lake has to offer.